Both horror and comedy are two of the most well-worn and staple genres of the entertainment industry, with horror having a tendency to be a little more stale and exhaustive in its use of shock tactics to get the viewers' blood flowing. However, modern audiences tend to be a little sharper in their approach to cinema. Shabby gimmicks like a cat jumping out at the viewer, has been tried and tested too many times to a point where horror movies have become downright predictable and just don't cut it anymore. Why not embrace the notion it's all been done before, and just switch genres? Or better yet, why not mash up two genres into one and create something (that may have been done before, but not as much) new? Tucker and Dale VS Evil. The Oxford Bibliographies says Horror-satire or horror-comedy is rarely addressed in film scholarship as a genre unto itself, horror-comedy is often placed within the broader categories of horror film, cult film, exploitation, trash film, or, less often, comedy. But horror-satire should definitely be a genre unto itself, having made many classics like 'Shaun of the Dead', 'Evil Dead' and 'Tucker and Dale VS Evil' (dead and evil seem to play a big part in the titles of this genre), and they tend to be more entertaining than the drawn out of the simple horror genre. A viewer will only take horror seriously these days if there's literally a ghost coming out of their monitors, and even then, they may brush it off saying the effects were horrible. No amount of CGI in the world can surprise a viewer today, but horror-comedy is honest about the matter, and that's what entertains our viewers. Rene Russo and Jake Gyllenhaal in Velvet Buzzsaw. 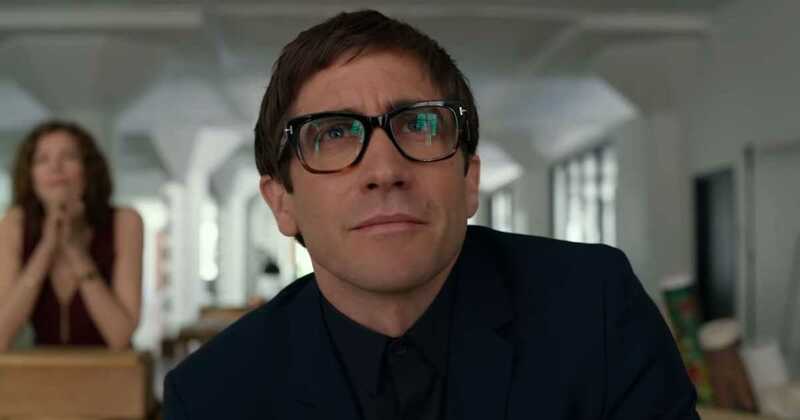 'Velvet Buzzsaw' is set in an extremely pretentious art-world, where the main characters are so charming, yet so annoying, you don't mind seeing your favorite characters killed off one by one, and has all the gimmicks of the bad horror movie done right by its comedy. The movie involves paintings which are drawn by a dead artist with the blood of his victims, which then come to life and kills whoever comes in contact with them, a concept that been done and dusted many times before like in the movie 'IT' (1990). We have greedy art promoter Jon Dondon (played by Tom Sturridge), who obviously dies first. During a scene where the lights start flickering (roll eyes here), Jon goes to investigate the disturbance and is instead pulled into the darkness to be hanged by his own tie. He is followed by the backstabbing newcomer, Gretchen, who's arm gets ripped off by The Sphere, one of the famous art installations she'd recently acquired, causing her to bleed to death, and her bloody body is thought of to be part of the installation. The movie goes to kill off its characters in the most stereotypical fashion, and viewers are just loving the honesty of this genre-bending film. Dan Gilroy has done an amazing job with 'Velvet Buzzsaw', and he tends to highlight everything that's wrong with the horror movie genre, as well ask poke as much fun at the kitschy art-world. So, for all the viewers out there who just love the beautiful union of genres, do give 'Velvet Buzzsaw' a go! 'Velvet Buzzsaw', is available for streaming only on Netflix.